This is the prequel of My-Otome, which predates the events before the My-Otome Series. 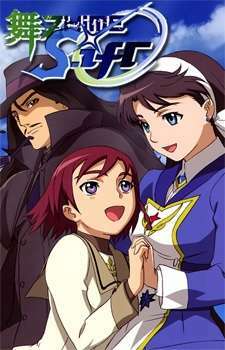 In this series, it focuses upon the origins of Lena Sayers, the mother of Arika Yumemiya and former bearer of Lofty Crimson Jade / Blue Sky Sapphire GEM, and Sifr Fran, the biological mother of Nina Wáng and the former queen of Windbloom Kingdom, as well as the origins of Schwartz, Aswad, and the Garderobe Academy and its Five Columns. The kidnapping of Sifr and the powerful revelation of Lena's GEM will soon fatefully determine the outcome of the future for themselves and the others around them.